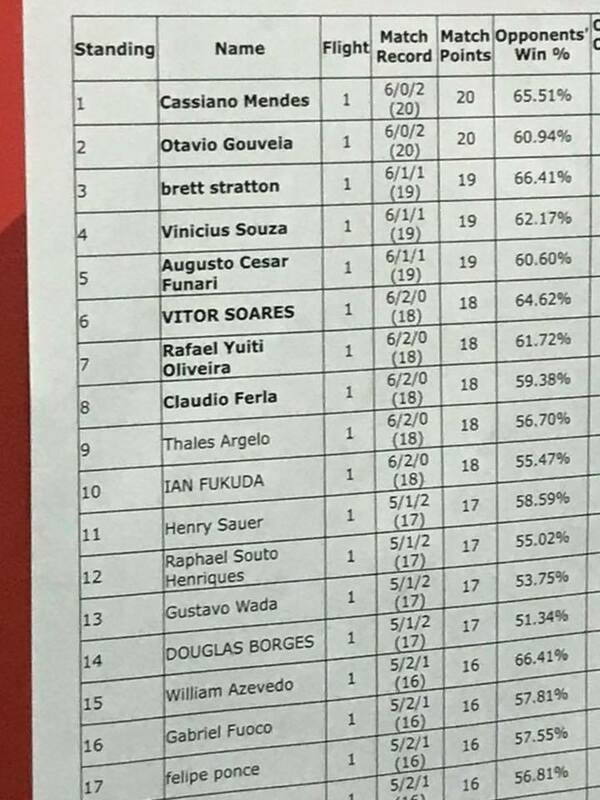 Two Regionals are taking place this weekend: Costa Mesa in California, USA; and Salvador in Brazil. (The former is Expanded; the latter is Standard.) We will be posting updates here for both events across the weekend. Be sure to also follow our updates on Twitter. 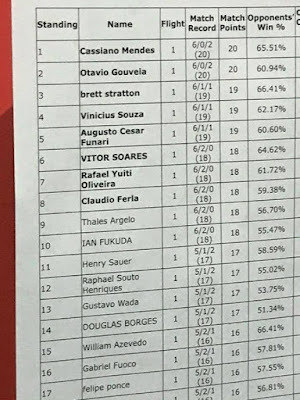 9:19 PM - Costa Mesa - According to his round 7 opponent Drew Kennett, Admassu Williams (who was banned from Yu-Gi-Oh twice for cheating but made Top 16 at Dallas Regionals this past January) was just disqualified from Costa Mesa at 5-1-0. 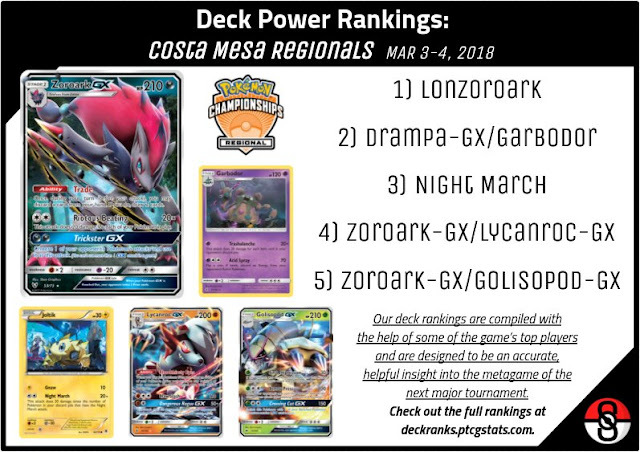 9:05 PM - Costa Mesa - Alex Hill is the lone undefeated player remaining as he advances to 7-0-0 with Glaceon-GX/Barbaracle! 5:40 PM - Costa Mesa - Michael Pramawat reveals he's playing Fighting; Alex Hill credits Travis Nunlist with creating his 4-0-0 Glaceon-GX/Barbaracle deck. 4:08 PM - Costa Mesa - Critical Hit TCG's stream goes live! The featured Round 4 match: Alex Hill's Glaceon-GX/Barbaracle vs. Igor Costa's Drampa-GX/Garbodor at Table 3. Visit our Costa Mesa Regionals data page here for future updates on stream matches. 2:26 PM - Costa Mesa - Round 3 pairings are up. 1:12 PM - Costa Mesa - Round 2 pairings are up. 12:26 PM - Costa Mesa - Players in the NA Top 16 hunt not attending Costa Mesa: 9-Ryan Sabelhaus, 13-Zakary Krekeler, 16-Daniel Altavilla, 18-Chris Siakala, 19-Brad Curcio, 20-Jon Eng. 12:02 PM - Salvador - We'll be adding stream match info for Salvador to our dedicated info page here. 11:26 AM - Costa Mesa - Round 1 pairings are up! Check out the Notable Matches header below to see the most interesting games. 4:57 PM - Costa Mesa - We posted our Deck Power Rankings for Costa Mesa - Lonzoroark comes in at #1 and it isn't particularly close. Click the Deck Rankings tab in our navbar to see how our expert panel voted! 11:15 AM - Costa Mesa - Drew Kennett states on Twitter that he'll be playing Aerodactyl/Maxie's for the event. His latest list was profiled in a recent Some1sPC article. Winners' names are bold. No bold names indicates a tie.